The front door says so much about a house, it sets the tone for the design and style which awaits on the other side. A door adds not only personality to a house but it’s also something that can bring a higher rate of return on the investment; for home updates, this is one that’s sure to pay off. When it’s time to update your door there’s plenty to consider so you can choose the right door for your home. Think of the overall design you want. If you have double doors now, do you still want them, or do you want to create a whole new look with a main door surrounded by glass panels? 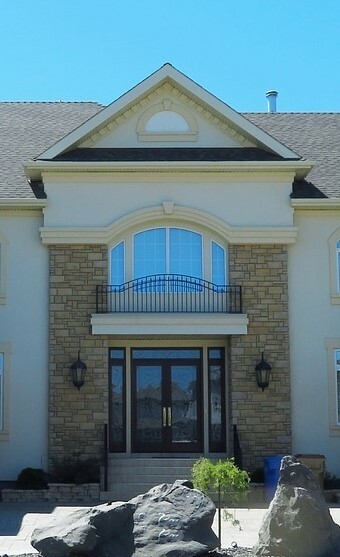 Does your current door frame have a unique design such as an arch? Decide if you want to retain this before you begin looking for a new door. If the arch must go, this will be something you’ll want to discuss with a general contractor to adjust for your new entry door. Material is a major component to determine. You may think a door is a door, is a door, but not so. For the best ROI, a steel door is the way to go. According to the latest Realtor.com Remodeling Impact Report, a steel door can reap up to a 75% ROI. The main reason for this has to do with the energy efficiency of such a door. Today’s steel doors help significantly lessen energy leaks compared to older doors. Wood is another option to consider, in particular for the design appeal which such a door can add. Fiberglass is another option great for durability and flexibility, you can add wood to these doors for a classic look and paint them with ease. 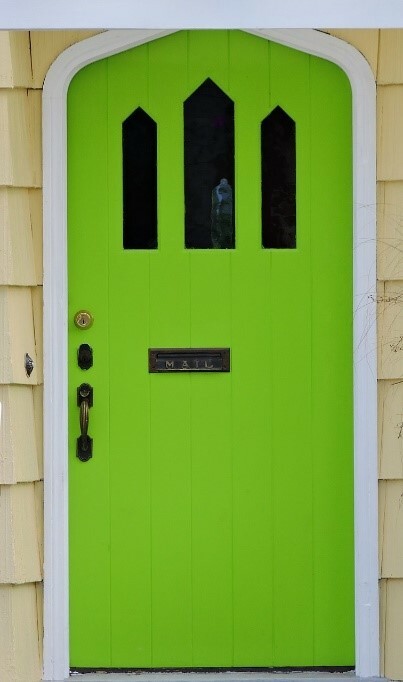 Color is another factor to keep in mind with installing a new front door. This is your chance to make the entry of your home stand out and draw guests in. A bright, bold color will create a welcoming atmosphere and literally set the stage of your porch. Be sure to keep your home’s architecture style in mind as well. With many Fountain Hills homes having stone, flagstone and adobe desert accents incorporated into their design, choosing a door which compliments the style will have a big impact. Glass brings a sense of style and light to a door. This is an easy way to go beyond just a standard door and incorporating glass panels is one way to work with the style of your home. Frosted or stained-glass panels can be an excellent way to mimic the lines of your house or play off other windows near the entry way. Incorporating glass into your door is a great way to add natural light inside your foyer. Find more ideas and information about different types of doors for around the house with this list from House Beautiful. As your Fountain Hills Lifestyle experts, Susan Pellegrini and Karen DeGeorge are ready to put their care and expertise to work in helping you sell or buy your home. Our first-class service comes with a wealth of experience and eye for detail, ready to focus on you. Visit our website to learn more and contact us or give us a call at (480)- 315-1575, we’re here for you.